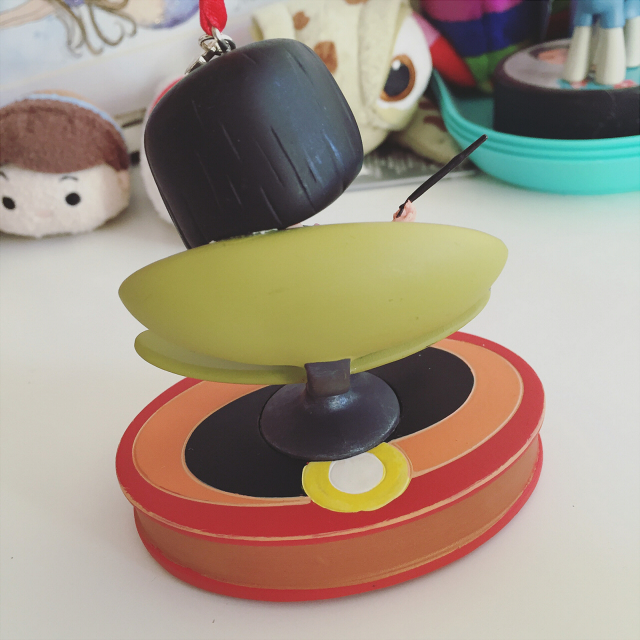 Welcome to today's mini Disney Store haul. 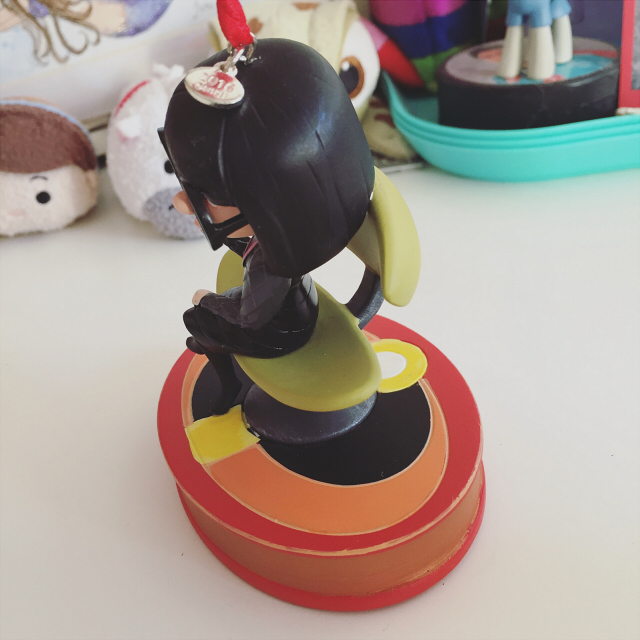 I picked up these items earlier in the month when I went shopping with my sister for her birthday. I can never resist treating myself, even when it's someone else's birthday. I assure you I spoilt her just as much. Now on with the haul! 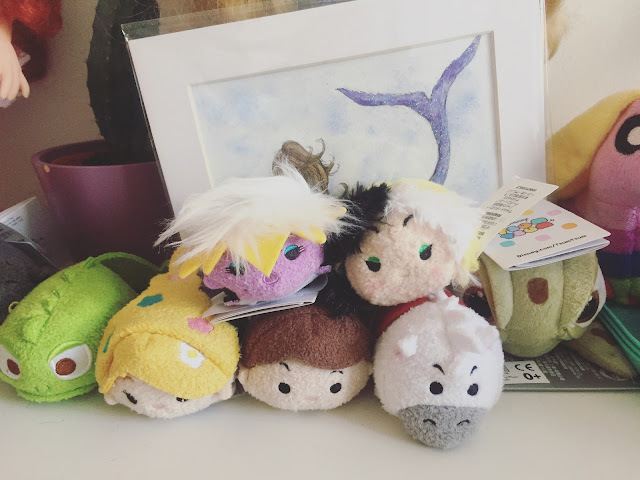 My Tsum Tsum collection has been steadily growing lately. I was excited when I saw the villain series. They had all the villains in the series in stock but I opted just to buy my favourites. I regret that a little bit now but oh well. 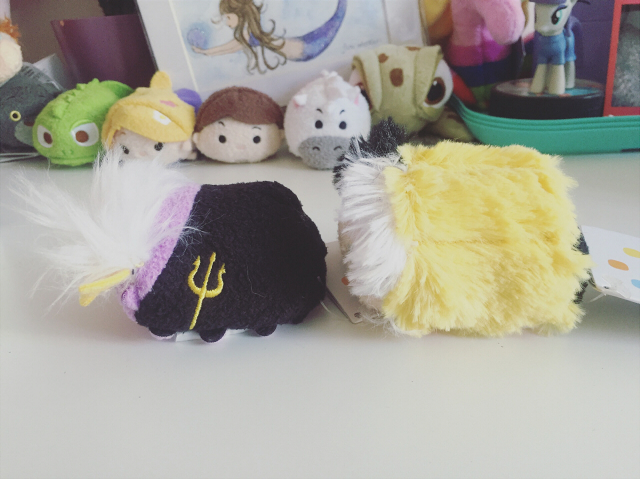 I bought Ursula and Cruella. 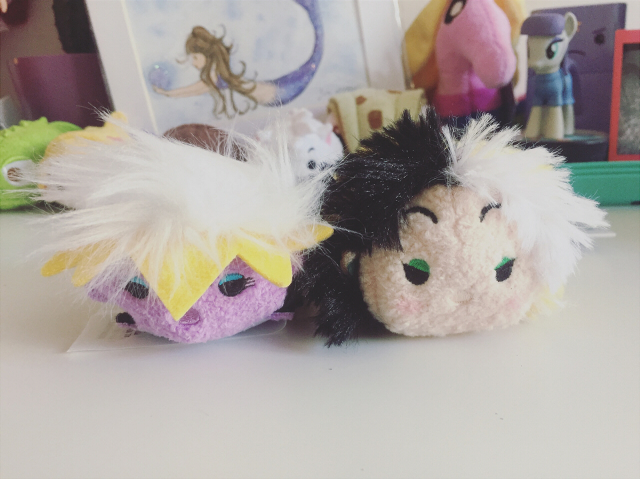 Have villains ever looked so cute? Back in June, Claire from Fine and Dandy direct messaged me a photo on Instagram. 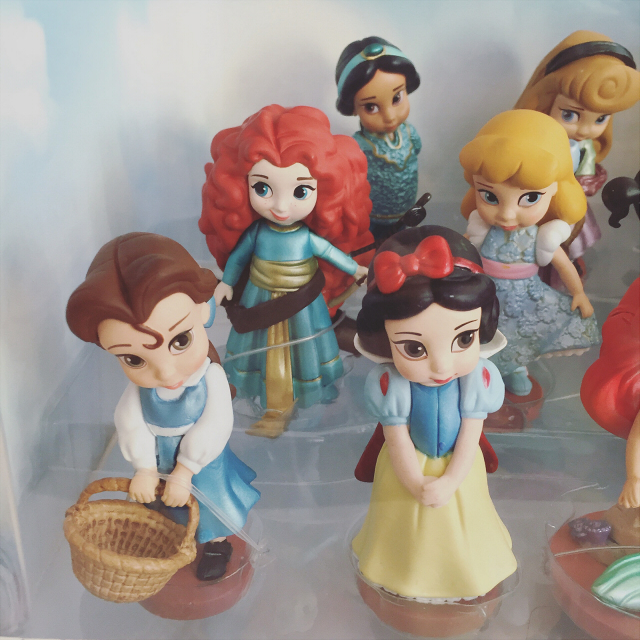 It was from a Disney related account and it was the cutest collection of hard plastic Animator Doll figures. I quickly fell in love and knew I HAD to get them some day. 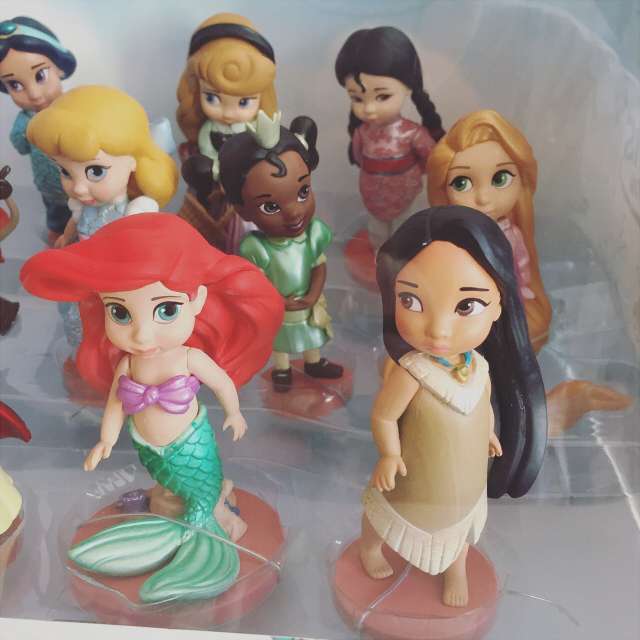 On my trips to the Disney Store since then I hadn't come across them... until this time! I've decided I'm not removing them from the packaging until I have somewhere to display them properly, so apologise that these photos aren't the clearest in the world. 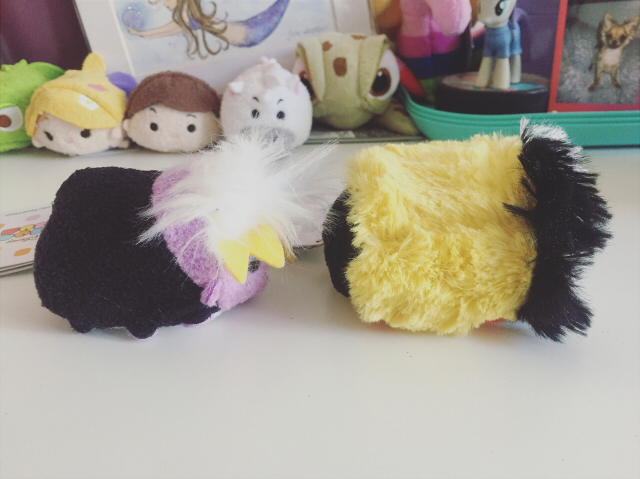 Hopefully you get an idea of their cuteness. And as always they have beautiful box art. Despite the fact it was only the beginning of September the Disney Store already had their new line of Christmas decorations out. 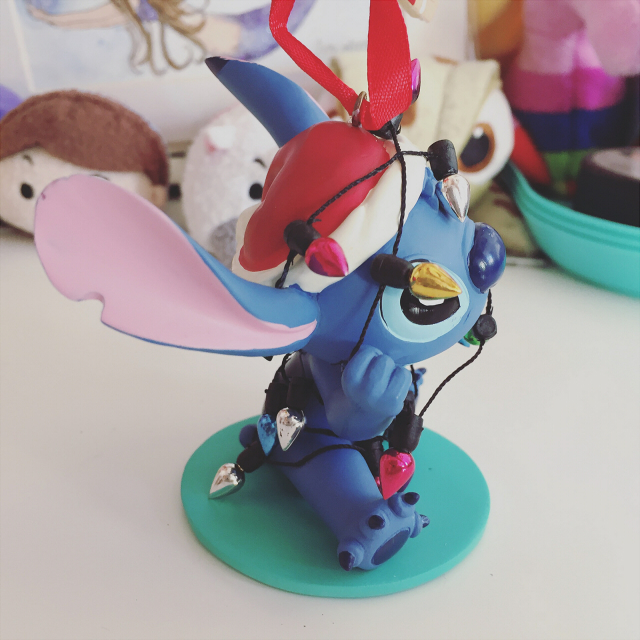 I don't usually like to partake in anything Christmas related until after Halloween but last year by the time we got around to buying the decorations we wanted from the Disney Store, a lot had either sold out or were broken. So rather than potentially miss out on the ones we wanted we snapped em up. Eva and I got one each for ourselves and then we bought our older sister one too. 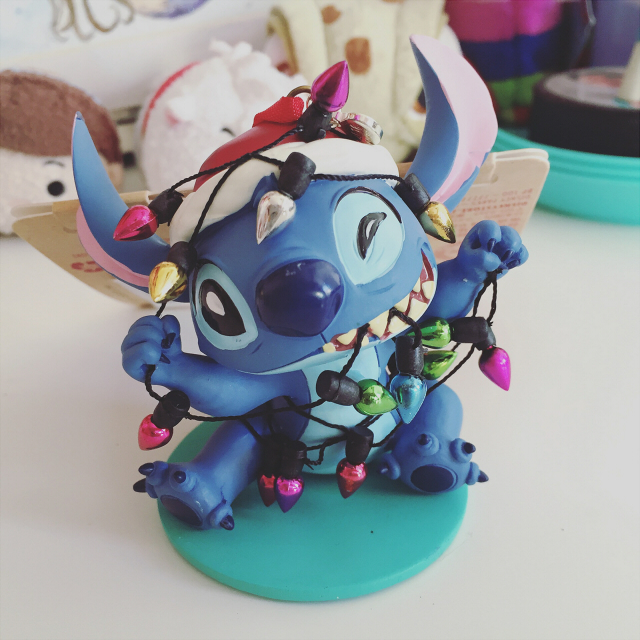 First we have Eva's Stitch. 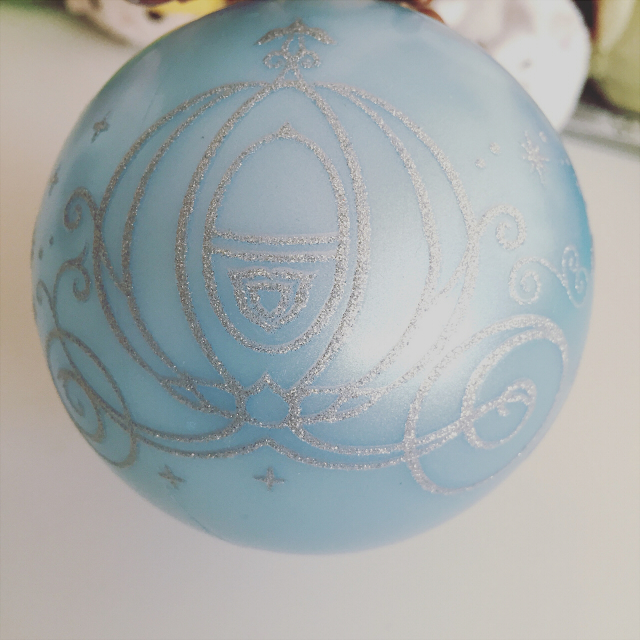 I love the Disney Store's Christmas decorations because they're usually chunky and well detailed. 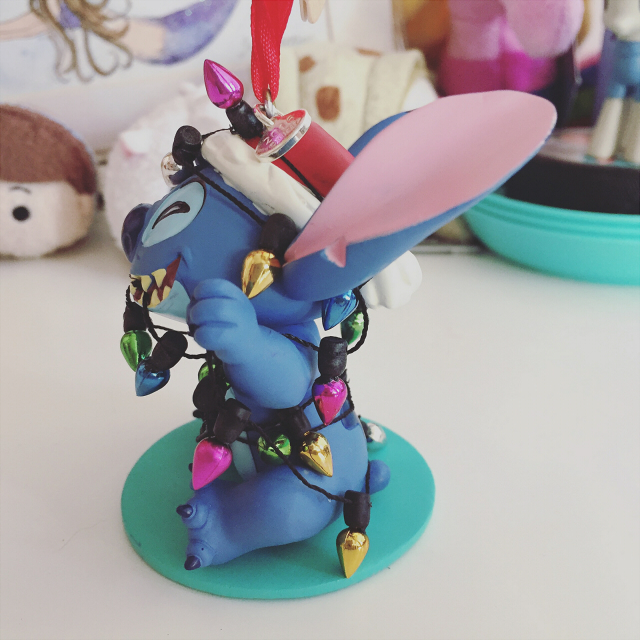 Stitch can sit on a shelf or hang on a tree. 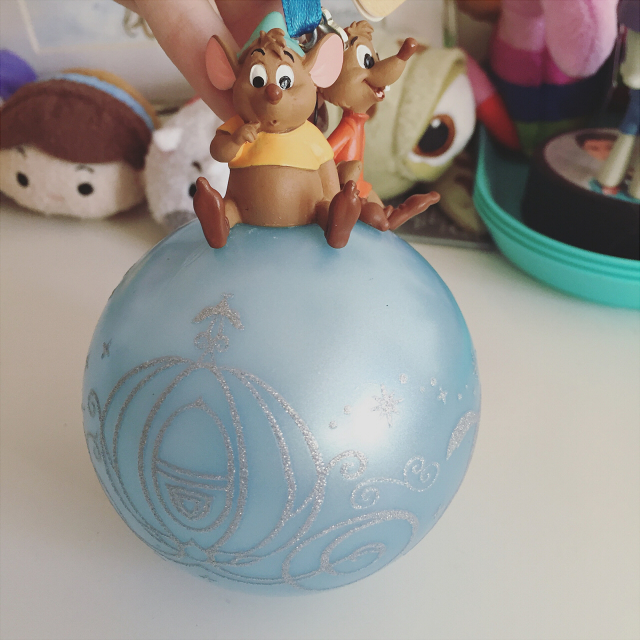 When I saw this bauble with Gus from Cinderella on it, I knew I HAD to have it. I'm a sucker anything Gus related. 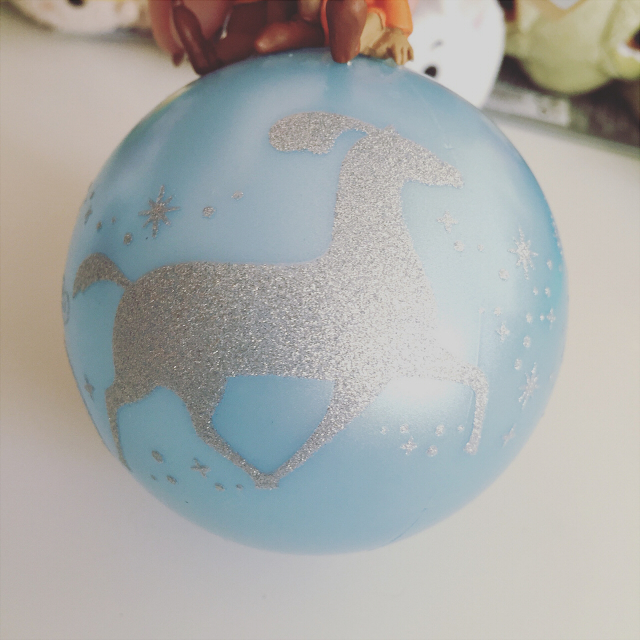 I am a little bit in love with this bauble. 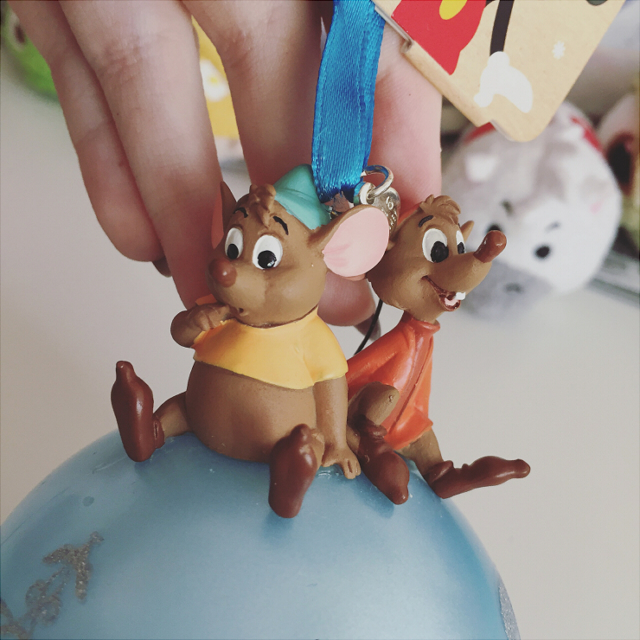 Anyone know what the other little mouse is called? Lastly we have the decoration we got for my older sister, Jann. 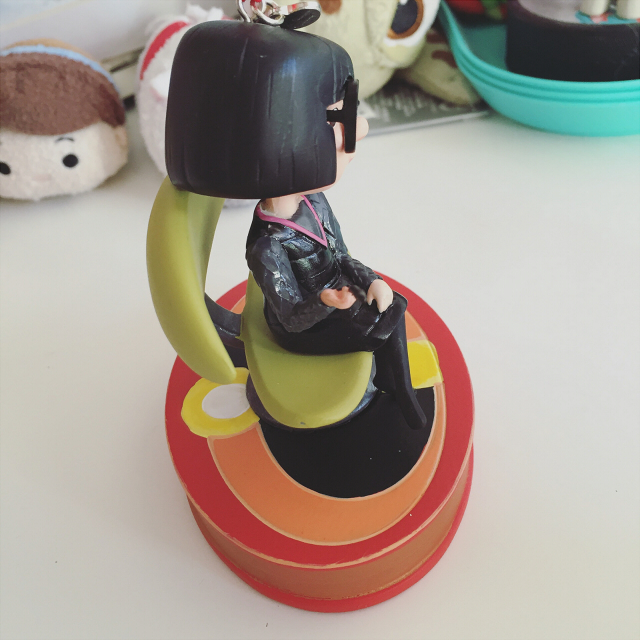 Jann isn't much of a toy lover or a collector in general, the same way Eva and I are. 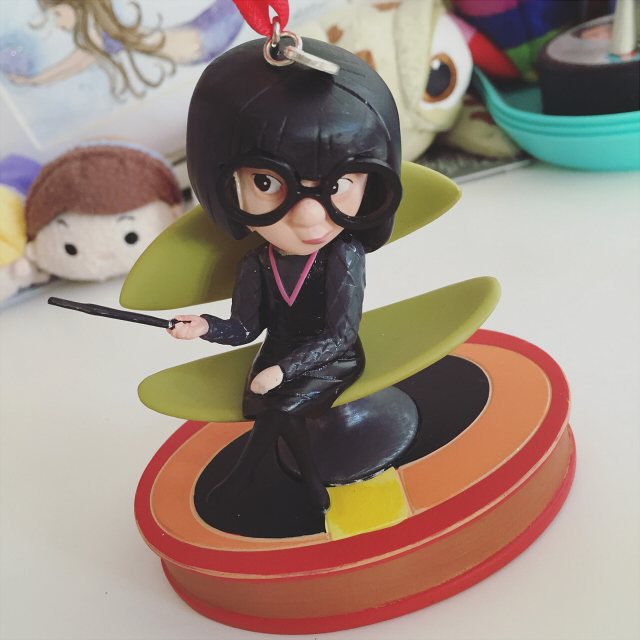 But she has always loved Edna from The Incredibles. I think that's partly down to the fact they look pretty alike. 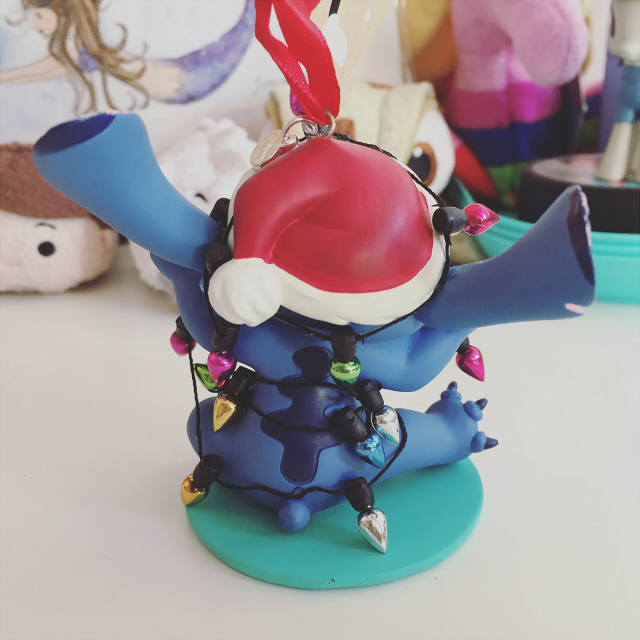 This decoration speaks six different Edna phrases from the film too. It's quite weighty so it probably won't go on the tree but will make a great shelf decoration. 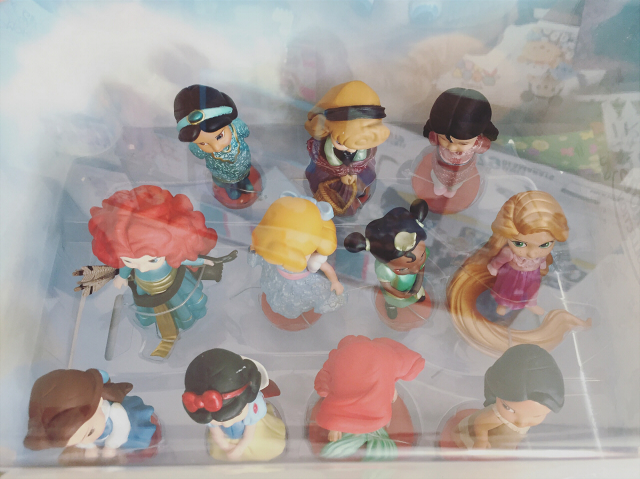 There you have my latest Disney Store haul. 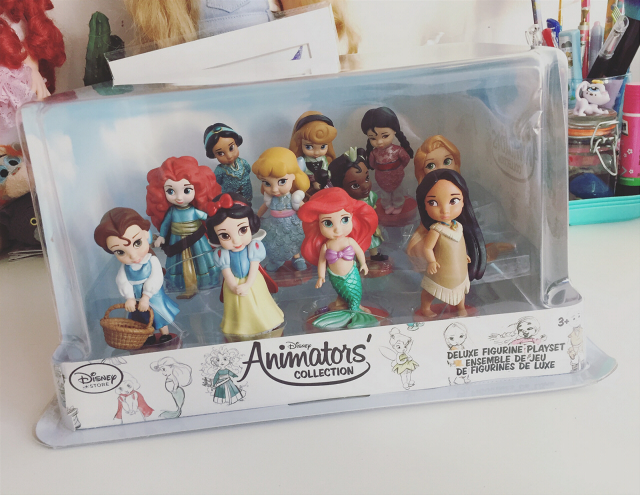 I can't pick a favourite item this time but I am super happy to finally have these Animator figurines. 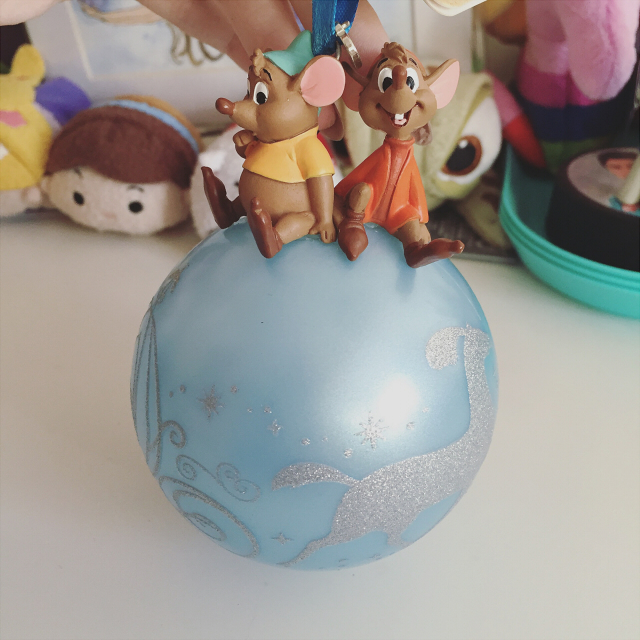 I look forward to adding to my Disney Store Christmas decoration collection between now and Christmas. So look out for that! 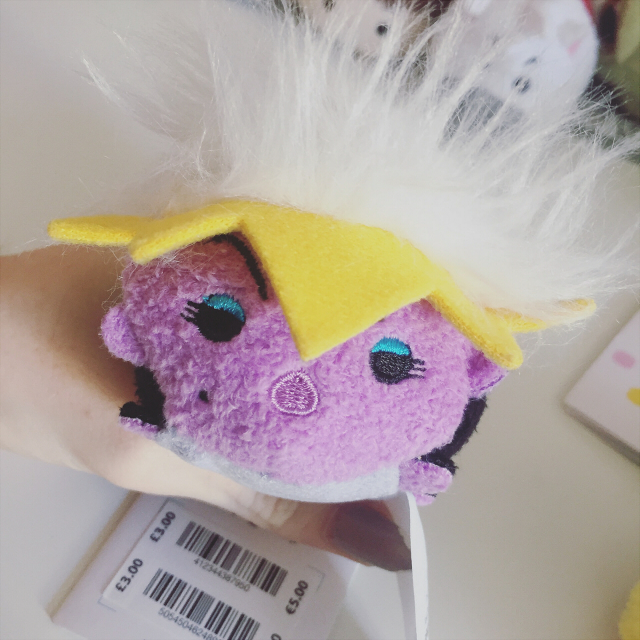 I don't get to go to the Disney Store much as my nearest is like 75miles away or something :/ but I was there recently and it just depresses me how poor I am haha! I'm loving that they have started to do a lot more adult things in store now and wish I could have picked up the special 90th anniversary Winnie the Pooh soft toy. Glad you grab the Xmas decs you wanted as they sell out super fast!! We were gutted when we went to the Oxford street store on the 16th of December last year and they had not one left! It wasn't even Xmas yet. 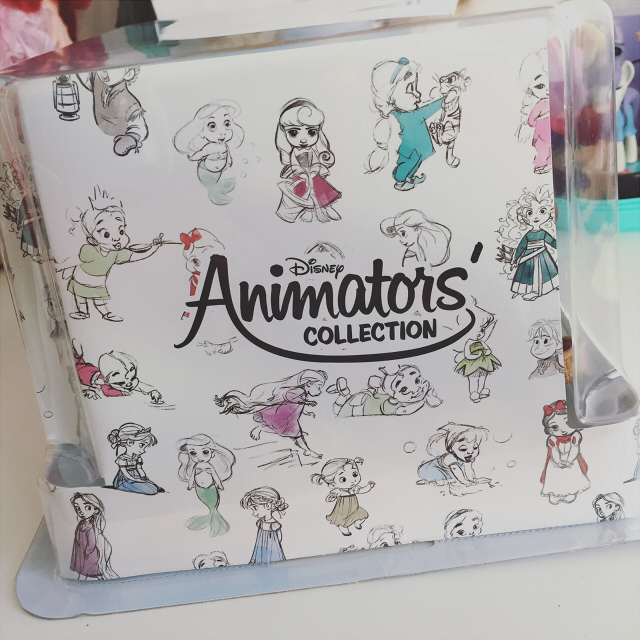 I'm hoping to be luckier at DLP, however I got mine in Oct at DLP last time so maybe they'll be sold out there too! Yeah, it's a good thing I don't get to go too often (I've been more in the last year or so than ever before tbh) because it's really hard to resist. 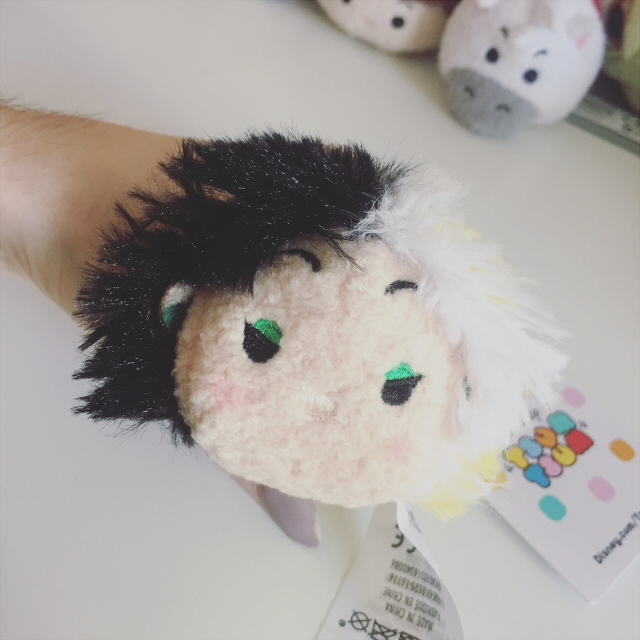 Though I do tend to stick to the same collection of toys like the Animators collection and the Tsum Tsums a lot of the time. If I started to by outside of that I think I would spend A LOT more. And I can't really afford to these days.